Look at the Hairy Heads which we made! 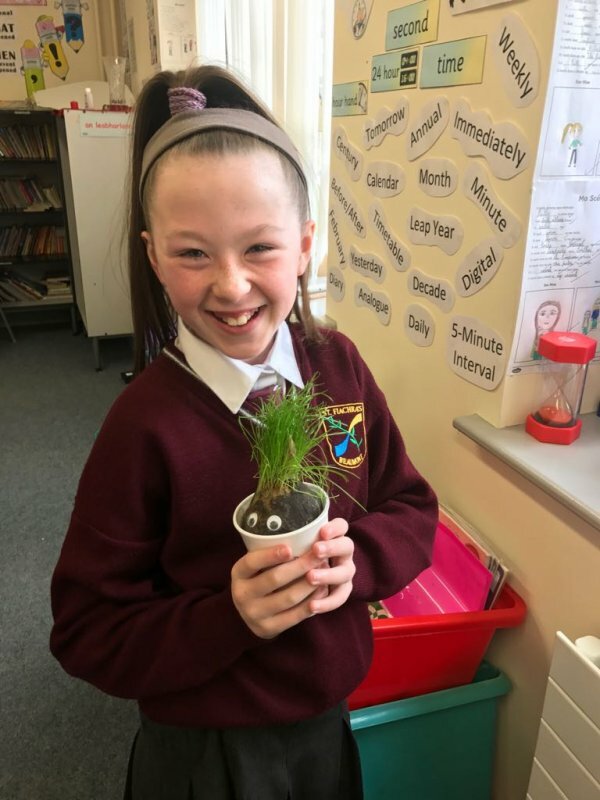 We planted grass seeds in a sock. There was soil in the sock. We placed the sock in a plastic cup, watered the seeds and waited! We did not have to wait long to see the hair grow.